The Filtrete 68705 Synthetic Vacuum Bags & Filters feature a synthetic filter media to trap common houshold allergens, including dust, pollen, grass and dust mite debris. Synthetic vacuum bags last three times longer than standard paper vacuum bags. They are flexible and tear-resistant because they expand as you vacuum. Standard paper vacuum bags suffer a loss of suction when they are only half-full, but these synthetic vacuum bags maintain continuous full-power suction. 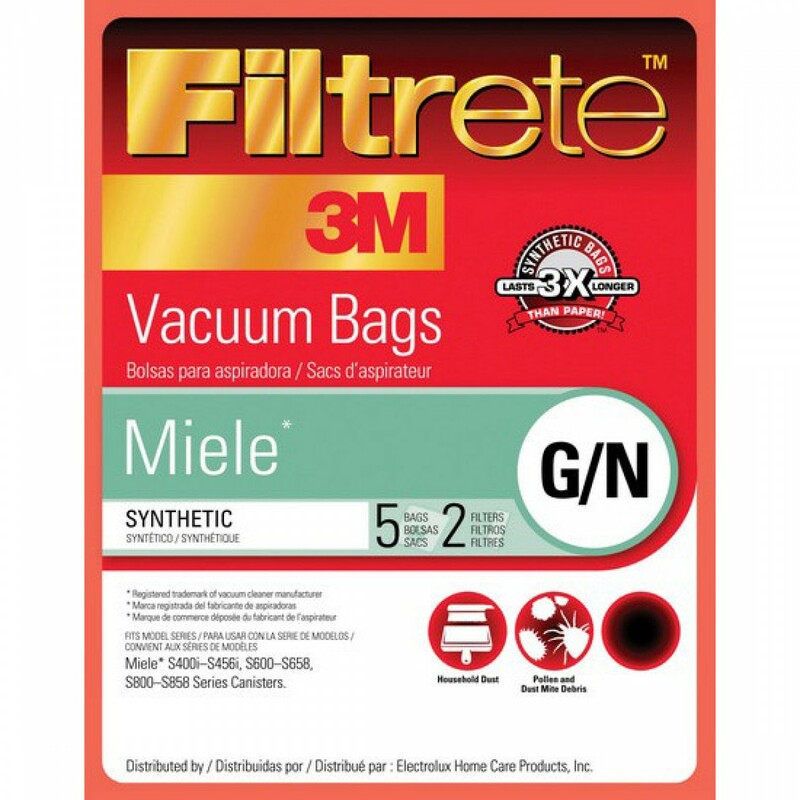 The Filtrete Miele G/N Vacuum Bags and Filters (5 bags/2 filters) fits various Miele vacuum cleaners using G/N vacuum bag replacements. Quality filtration for household dust and other allergens. 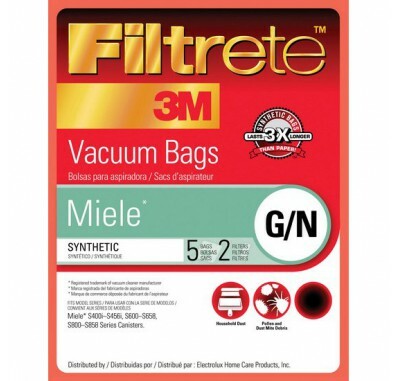 Great value pack of five Miele G/N vacuum bags, plus two replacement vacuum filters. Keeps you well-stocked for bag replacement every 3 months. 3M technology to reduce your allergy symptoms.